No doubt Infinix phones dominate the Android phone market in Nigeria and as well as some other African countries. With so many Infinix phones available out there in the market, it makes it difficult for an Infinix fan or anyone who has just heard of Infinix and wants to check them out to make a choice on which Infinix phone to go for. 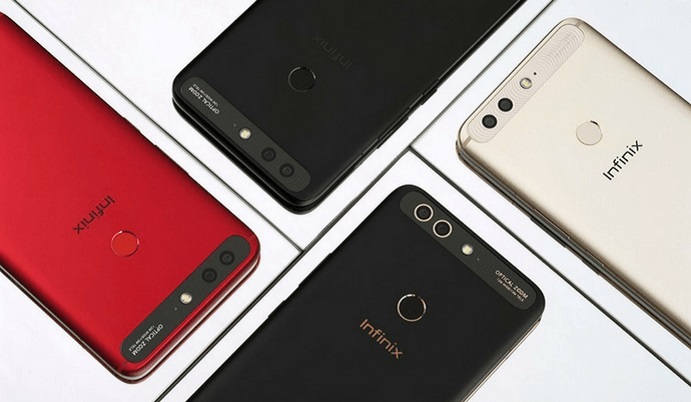 In this post, we will be exploring the top 10 Infinix phones out there in the market and as usual, latest infinix phones and some honorable mentions (some Infinix phones that are worth of being mentioned but didn’t make our top 10 list). Infinix Mobile (brand name: Infinix Mobility) is a Hong Kong-based smartphone manufacturer that was founded in 2013. Though Infinix phones are manufactured in China, Infinix claim to have their research and development centers in France and Korea. Infinix phones are available in about 60 countries in the world and popular in the African market especially Nigeria, Kenya and Pakistan. Infinix Mobility has focused on the African and Asian consumers of its products. Infinix phones are know to be affordable but powerful and feature rich, even though they have some premium Android smartphones as well. Although Infinix specializes on Android phones, they also have some other mobile accessories like smartwatch and noise cancellation earphone (NCE). 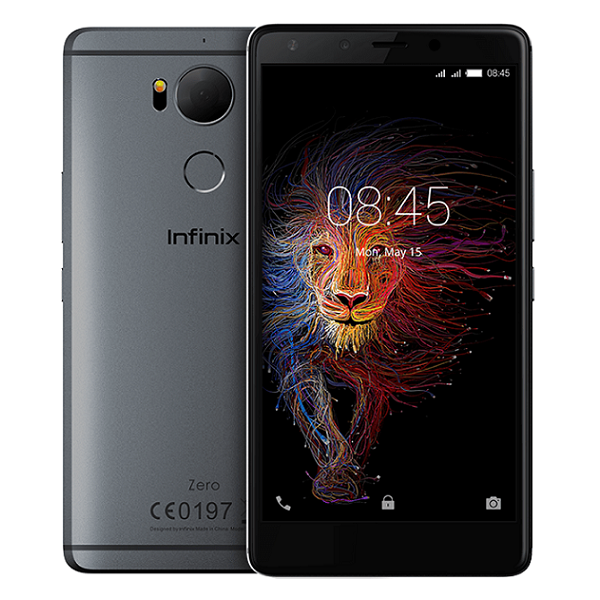 Our list best and latest infinix phones is to help people aspiring to acquire an infinix phone make the right choice. Infinix Zero 5 was launched at an event in Dubai as it became the first device from Infinix Mobility to host dual back cameras. The Zero 5 has a pro version which comes with bigger internal storage space of 128GB this happens to be the only difference between it and the basic version. 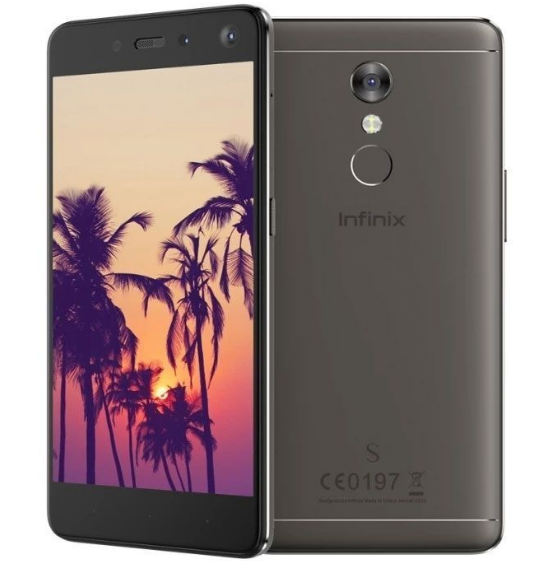 Infinix Zero 5 features a dual 12 megapixels and 13 megapixels cameras at the with optical zoom functions, at the front is a 16 megapixels camera with single LED tone. It carries a 4350 mAh battery on the inside, 6GB RAM is packed with Mediatek Helio chipset. 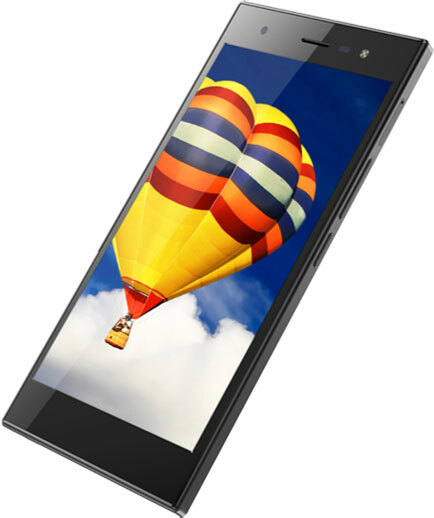 The basic version of the Zero 5 has 64GB internal storage space. 5.98″ 1920 by 1080 FHD IPS capacitive touchscreen. 12MP +13MP dual back cameras with LED flash. Infinix Zero 4 Plus (also known as “the pro”) is the pro version of the Infinix Zero 4. and it one of the few premium Infinix phones in the market. The Zero series is the Infinix’s premium smartphones and this smartphones come with a lot of premium features and are built with powerful hardware. Infinix Zero 4 Plus comes with a similar design as the Zero 4, just bigger. You still get a premium metal unibody with the fingerprint sensor on the back. 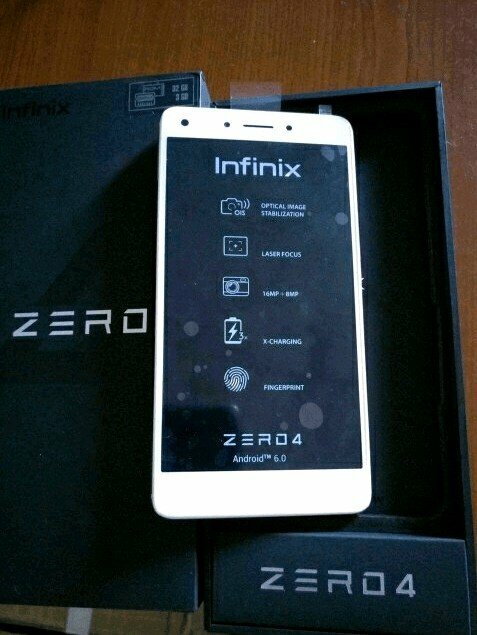 The Infinix Zero 4 is the third 6-incher in the Infinix Phones lineup, behind the Infinix Note 3 and Note 2. The Infinix Zero 4 Plus comes with Deca-Core 2.1 GHz processor with Helio X20 (MT6797M) chipset and Mali-T880 coupled with 4GB RAM and 32GB inbuilt storage. On the camera side, the Zero 4 Plus comes with 20.7 megapixels rear camera and 13 megapixels front camera. 20.7MP back camera with LED flash. Infinix Zero 4 is the successor of Infinix Zero 3 and it was launched together with its senior counterpart – Infinix Zero 4 Plus. Infinix Zero 4 holds a measurable 5.5 inches touchscreen made with IPS LCD panels. The display is in full HD and supports up to 16 million colors, the screen has a display resolution of 1920 by 1080 pixels and 440 pixels per-square inch (ppi) and it is protected from scratch and pressure by a Corning gorilla glass 4. The Zero 4 comes with 16 megapixels back camera and 8 megapixels front camera unlike its senior counterpart which comes with 20.7 MP and 13 MP. The Zero 4 comes with Android 6.0 Marshmallow out of the box, but the OS is upgradable to Android 7.0 Nougat. Infinix Zero 4 has a MediaTek MT6753 chipset with an octa-core processor clocked at 1.3GHz. The Zero is equipped with 3GB RAM to ensure things run smoothly and 32GB of built-in storage for your files and downloads. The Infinix Zero 4 has a micro SD card tray on the left side that can support up to 128GB additional storage. 5.5″ 1920 by 1080 FHD IPS capacitive touchscreen. 16 MP back camera with LED flash. Infinix Note 3 Pro is the Pro version of the Infinix Note 3 and it comes with 50% more RAM than the Note 3 and also feature 4G LTE. There isn’t much difference between the Note 3 Pro and the Note 3, except in the RAM and network category. The Note 3 Pro comes with 3 GB RAM but feature the same storage capacity as the Note 3. Infinix Note 3 Pro comes with 13MP back camera with dual LED flash and 5MP front facing camera with soft flash. Like most Infinix phones, the Note 3 Pro is powered by a MediaTek device and it comes with 4000 mAh battery. The Not3 3 Pro comes with Android 6.0 Marshmallow out of the box, but it is upgradable to Android 7.0 Nougat. 6.0″ 1920 by 1080 FHD IPS capacitive touchscreen. 13MP back camera with LED flash. Infinix Note 3 succeeded Note 2 in the Note series and comes with a major upgrade in software and hardware. 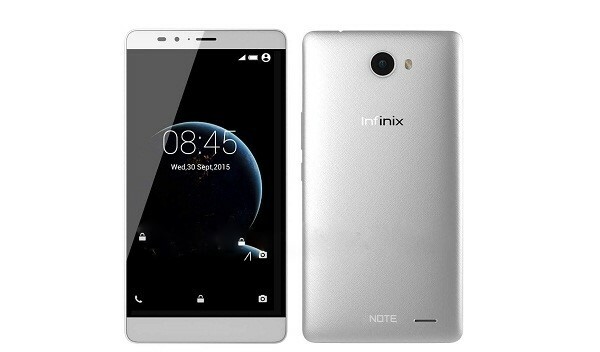 Infinix Note 3 comes with 6″ screen size just like the Note 2, but has a better screen resolution. Note 3 has a full HD display with a screen resolution of 1080 x 1920 pixels and a screen resolution density of 368 ppi. Infinix also upgraded the battery capacity of the Note 3 to 4,500 mAh from 4000 mAh of the Infinix Note 2, and it is the highest battery capacity so far from any Infinix phone. Infinix Note 3 comes with 13 MP back camera with dual LED flash and a 5 MP front camera with soft flash as well. The Note 3 also came with new technology known as liquid cooling system which prevents the device from over heating. The device comes with a massive 20.7-megapixel, featuring SONY IMX230 CMOS sensor with 6P Largan lens, dual LED flash, autofocus, HDR and face detection, amongst others, for eye-catching images. Infinix S2 Pro is the pro version of Infinix S2 and they both succeeded the Infinix Hot S – a selfie focused smartphone. Infinix S2 Pro comes with most of the features of the S2, with the major difference between the two being in the RAM and internal storage category. While the Infinix S2 came with 2 GB RAM and 16 GB internal storage, the Infinix S2 Pro comes with 3 GB RAM and 32 GB Internal storage, which is upgradable to up to 128 GB with external storage. The S2 Pro also feature a dual front camera (13 MP + 8 MP) and 13 MP back camera. Just like all the S series Infinix phones so far, the Infinix S2 Pro is also a 5.2 inches smartphone. 5.2″ 720 by 1280 HD IPS capacitive touchscreen. Infinix S2 is the junior version of the Infinix S2 Pro but that does not by any means imply that the phone is not powerful. The S2 smartphone comes with the same exact design and features as the Pro version with the only difference being the RAM and the ROM. The Infinix S2 X522 also comes with dual front camera (13 MP + 8 MP) which puts it as a wefie smartphone, just like the S2 Pro. The 5.2 inches display of the Infinix S2 is equipped with 2.5D glass which gives a better user experience on the phone. Infinix S2 comes with Android 6.0 out of the box, but it is upgradable to Android 7.0 Nougat. 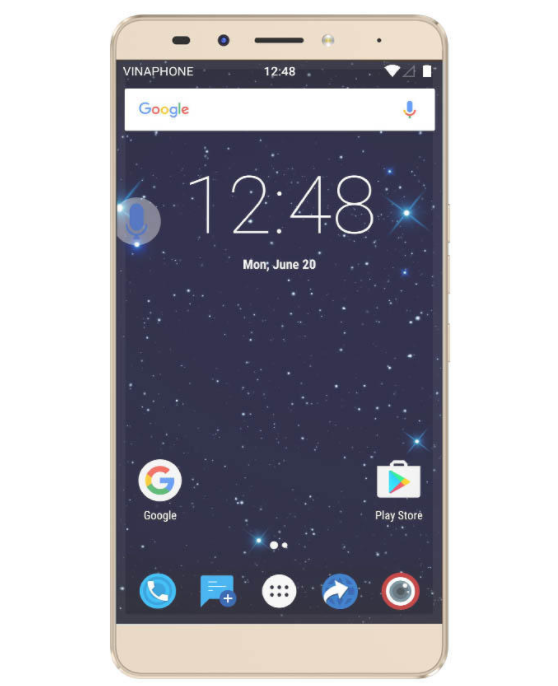 The device is powered by an Octa-core Cortex MT6753W processor, clocking at the speed of 1.3 GHz. Infinix S2 comes with fingerprint scanner which can be found at the center of the back of the device, 13 MP back camera, full metal body, 3000mAh battery capacity. 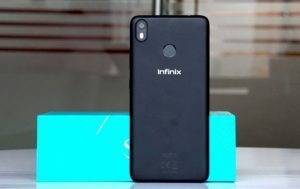 Infinix Hot S is the first smartphone from Infinix Mobility to feature a fingerprint sensor and full metal body, and also the first smartphone in the Infinix S series. Infinix Hot S features a 5.2-inch IPS HD display with 720 x 1280 pixels resolution. 5.2″ 1920 by 1080 IPS capacitive touchscreen. 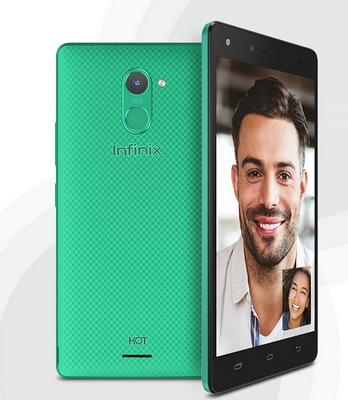 Infinix Hot 4 Pro is the pro version of the Infinix Hot 4 and it feature some slight upgrade in few areas where the base version was said to have under-performed. These upgrades were spotted in the network options and camera region. Infinix Hot 4 Pro filled the gaps in the Infinix Hot 4 such as lack of 4G LTE support, while still maintaining a reasonable price tag. The Hot series Infinix smartphones are known as the Infinix phones with entry level price range. Infinix Hot 4 pro comes with 4000 mAh battery and 5.5-inch display with a screen resolution of 720 x 1280 pixels. The device feature a 2 GB RAM and internal storage of 16 which is upgradable to up to 128 GB with external SD card. 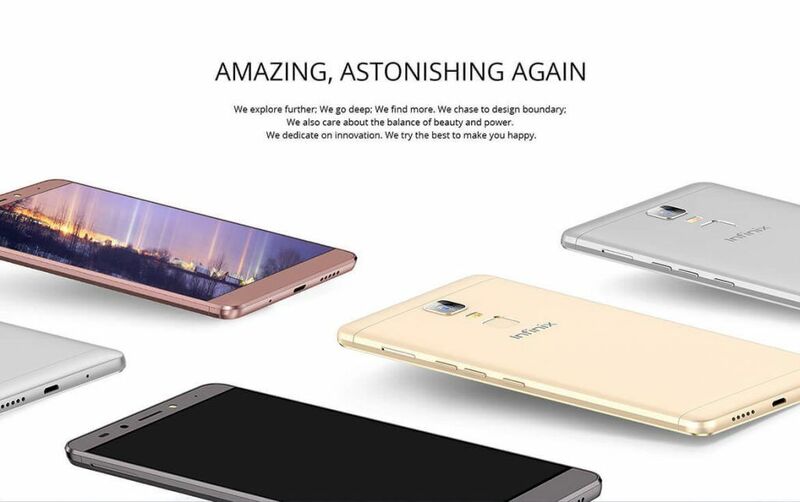 The device also feature fingerprint scanner with the LED flash for its 13MP back camera. On the front you a 5MP camera for selfie. 5.5″ 720 by 1280 HD IPS capacitive touchscreen. Infinix Note 2 (a.k.a. Infinix Big 6) is a phablet smartphone with 6-inch HD display. The device is built with Cortex-A53 64 bit architecture and comes with flash charging capability and long lasting battery of 4000 mAh. The average charging time of the device is 90 minutes (for full charging), 60 minutes to charge up to 97% and 15 minutes to charge 1000mAh of the total battery capacity under normal room temperature. Infinix Note 2 comes in two versions: 1GB and 2GB RAM versions with both having 16GB ROM. Like we mentioned early, Infinix has a lot of good mobile phones in the market and therefore, there are some of phones that worth mentioning but they were not strong enough to make the top 10. 5.5″ 720 by 1280 IPS capacitive touchscreen. 8MP back camera with LED flash. Infinix phones are available in almost all mobile retail stores around, both online and offline. You can get them online on stores like Jumia, Konga, Slot, Yudala Finet Mobile and many others. 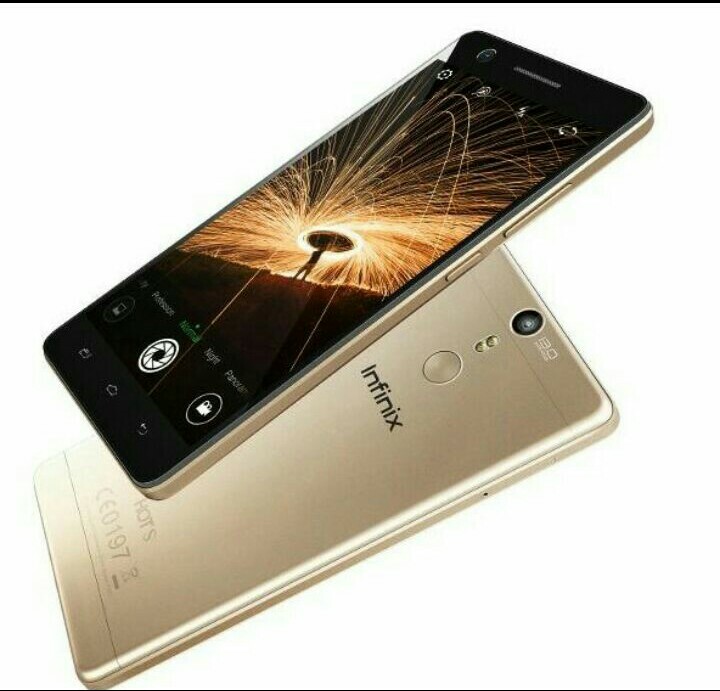 Beware: due to the popularity of Infinix phones, there are many fake Infinix phones available in the market. Check thoroughly before buy. An easy way to easy way to avoid buying a fake Infinix phone though is to buy from trusted retailers. Oukitel C2 Hands-On Review, First look at the Rainbow Kisser. Nice article. Inifinix phones are really smart phones. I have personally used the S2 , the zero3 , the note3 and the zero 4plus. I had issues with the zero 4plus from the first day. Not charging properly, heating up and then it suddenly went completely dead after a few months, i think it was six months. It was sent in under guarantee and the it was fixed. Hardware issues. two months later the same thing happenes. Keeping in contact with them constantly….they now said that it can’t be fixed a second time under guarantee and now i sit with a useless phone which they want me to pay for repair as the guarantee has also elapsed. I barely used it properly for 6 months. Really disappointed! Are you sure it has not spoil? Nice run down but I want to ask about Infinix Hot 6 and Hot 6 pro. Thanks for the nice review, it helped me finally decide on which Infinix phone to go for. I took Infinix Hot S, very pleased. Good quality shooting, conveniently lies in the hand, holds the battery well. I’m glad the post helped you Freevolt. thanks for giving us a good knowledge about infinix android phones, this article is very useful to take a decision when buying infinix phones, this article explore many things which are very useful. Thank you for stopping by Gaurav. We are glad you found value in that. These are really great phones with amazing specs. Infinix Mobility is a company to beat. They’ve won my heart with their series of highly-specced devices. We can’t agree more Covenant. Infinix mobility is really pushing the boundaries with their line of smartphones.